An overdue and much needed post! 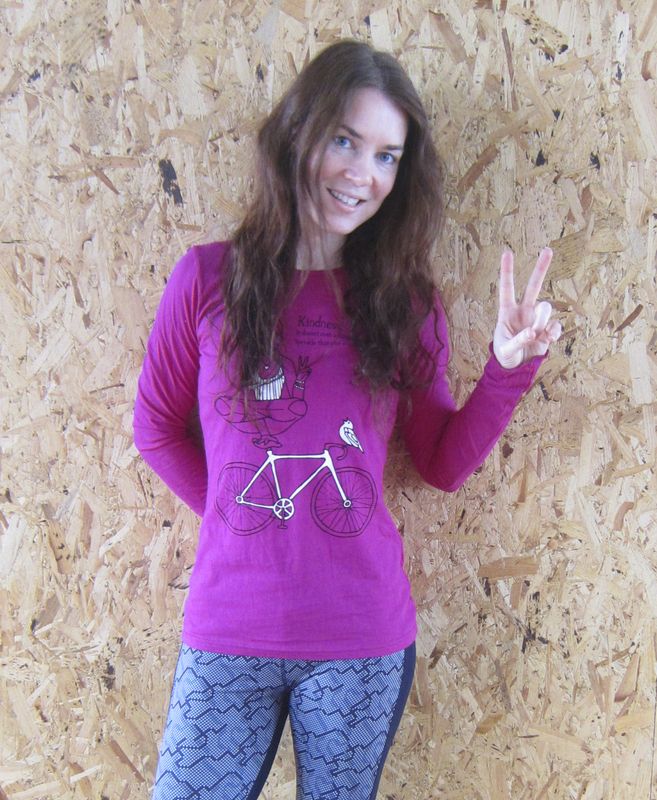 at http://shop.yogawillsavetheworld.com/ modelled by one of my favourite teachers here in London Lolo Lam. That’s all for this post. I’m off to meet Nancy from Yoga Haven Islington now to discuss a design for a charity event they are running around Ahimsa (non violence) and enjoy a delicious hot chocolate. Another cold day in London today. Perfect for plotting and hot beverages. Later…some yoga at Yoga Rise. The post man just delivered the latest order of tees I designed. They’re a lovely fitted style with turned up sleeves. Pretty cute. 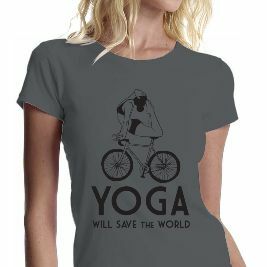 They’re all 100% organic cotton and come in coral, mint green and bright blue, all available at http://www.yogawillsavetheworld.com. 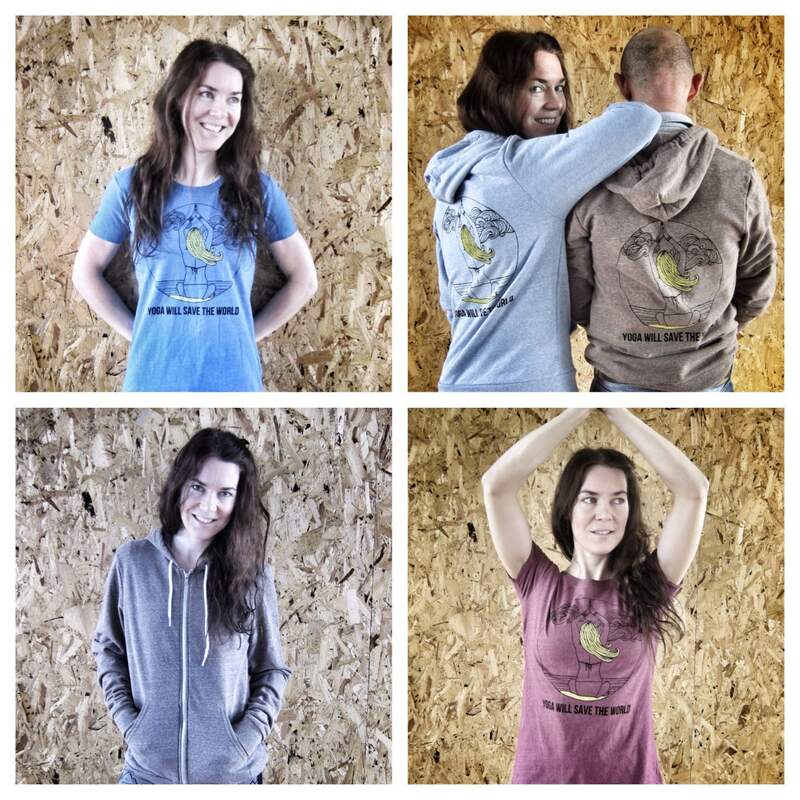 As always, they’re a limited edition run, 15 of each colour. 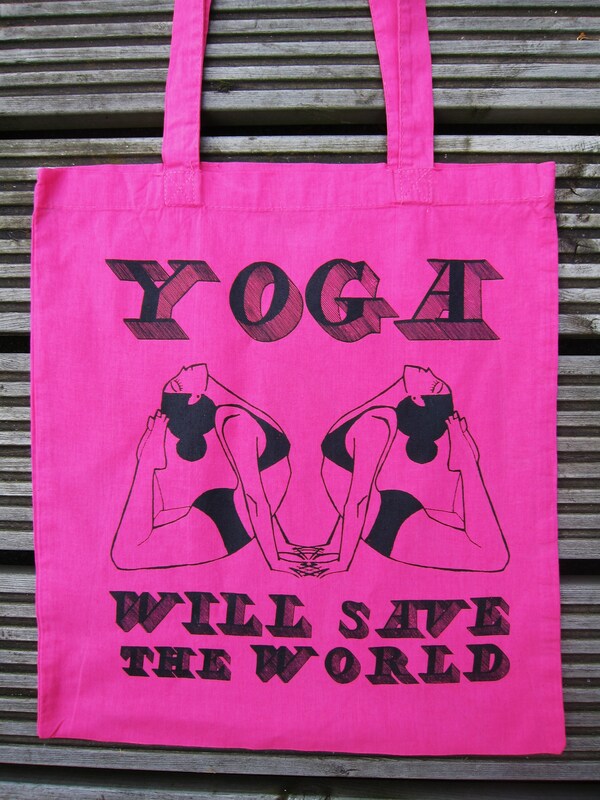 New 100% organic cotton bags are now available to purchase at http://www.yogawillsavetheworld.com. They look gorgeous. They are screen printed in gold and black on vibrant pink, red, blue and green bags. As always the collection is limited edition. We hope you love them too. An autumnal flavoured desktop calendar for you to enjoy and share. Also, in news to come…new bags printed in black and gold are coming in to the shop. I have not posted a blog in the longest time. 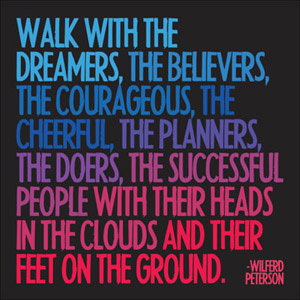 From one extreme to the t’other I will fill this post to the brim with recent news. I am also going to make sure this neglect is not repeated and am plotting to blog every 2 weeks. So. 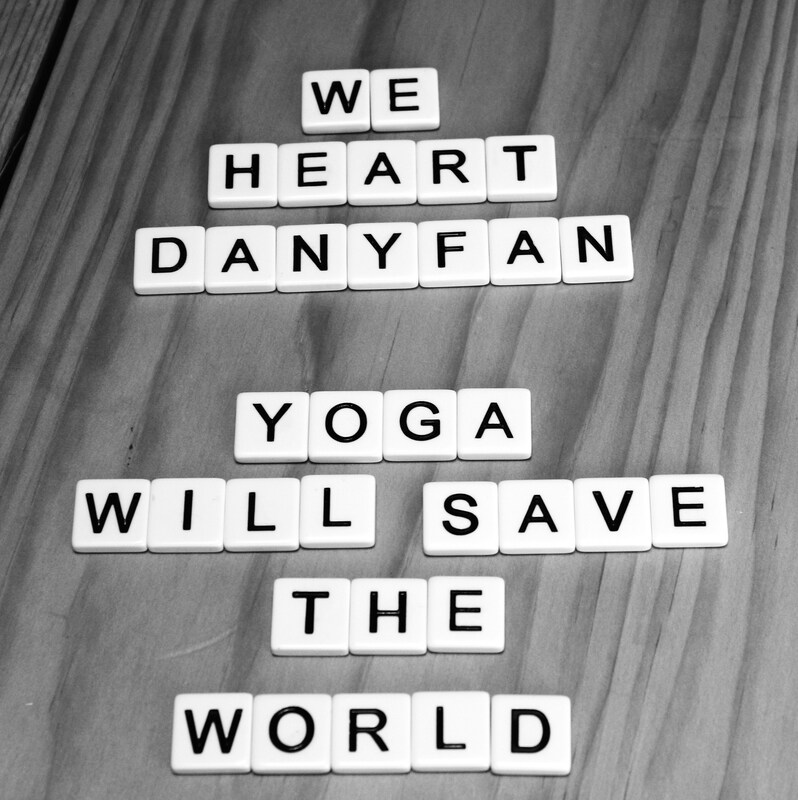 What has been going on at Yoga Will Save the World? 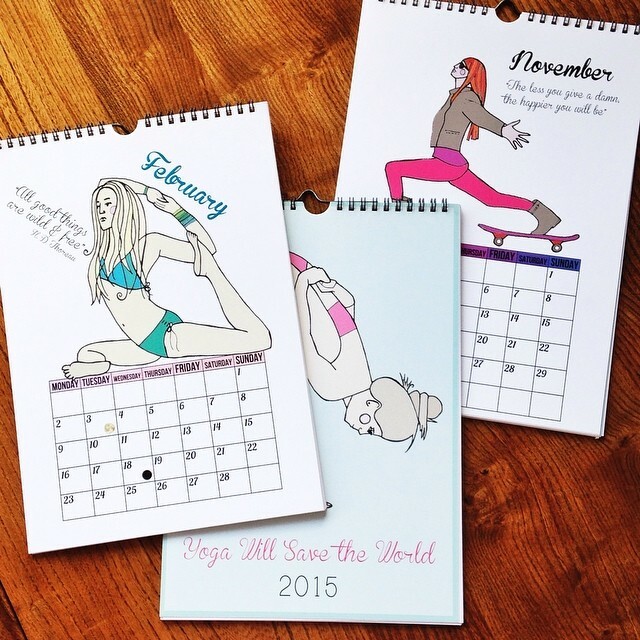 Yoga Will Save the World now has FIVE stockists. Tri Yoga Chelsea and Primrose hill, Indaba Yoga in Marylebone, Yoga Matters online, Bermondsey Fayre all in London and Yoga Concept in Paris. 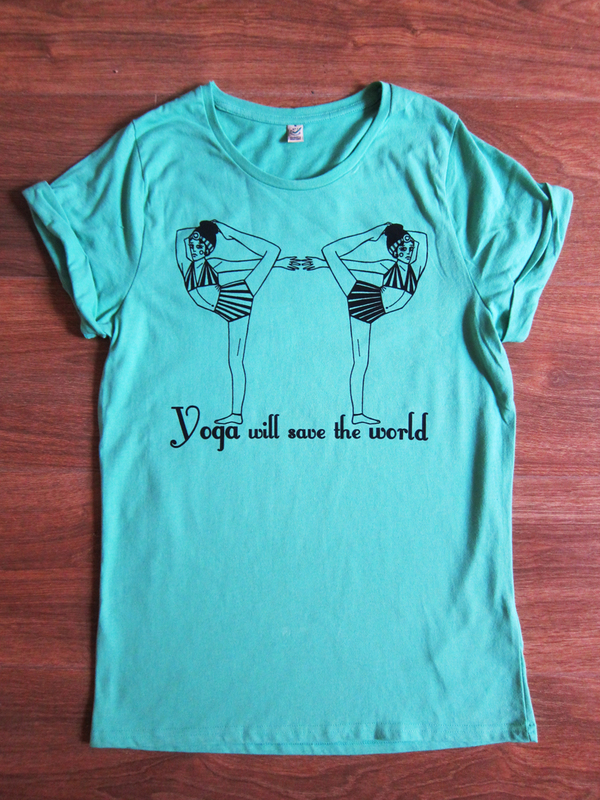 Yoga Will Save the World will be at the Yoga Show in London at Suryalila’s table. Please come and say hi if you’re there. I’ll have a small selection of stock with me. 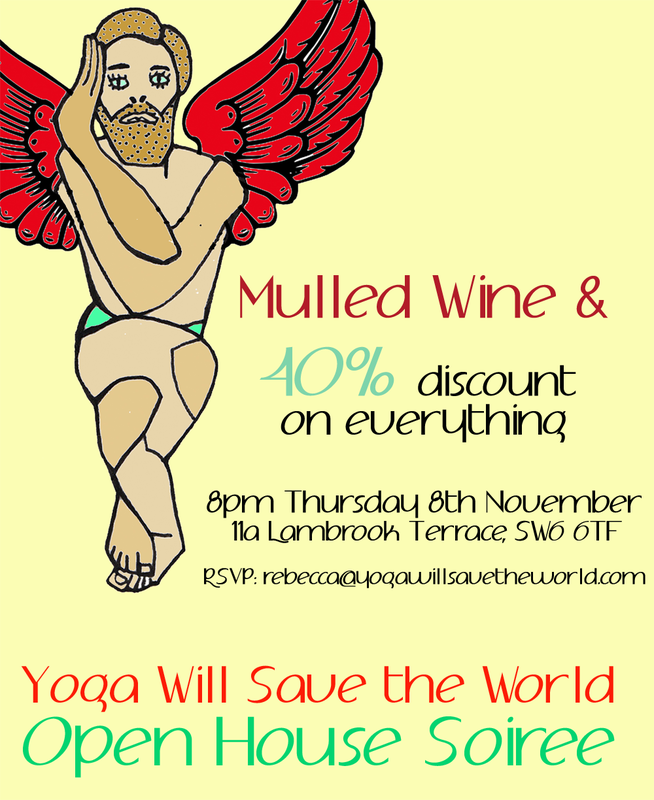 Next month, there is a YWSTW Open House Soiree, there will be 40% off everything. Thursday, 8th November. RSVP so I can brew enough mulled wine. 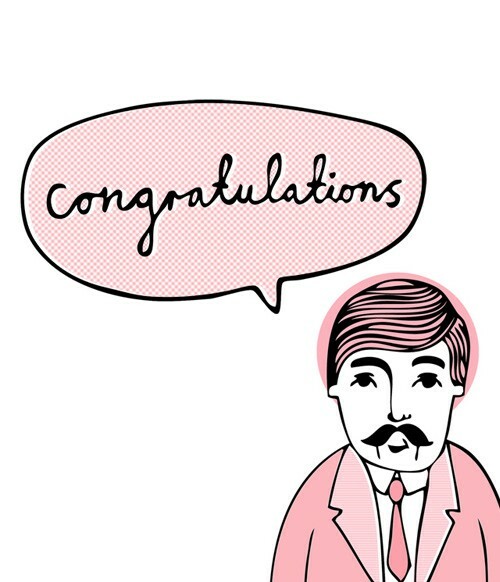 I’m not sure if you’ve looked recently but there are some new prints and bags in the shop and new Mens and Ladies Tees to come. Have a browse here and check out some of the images below. 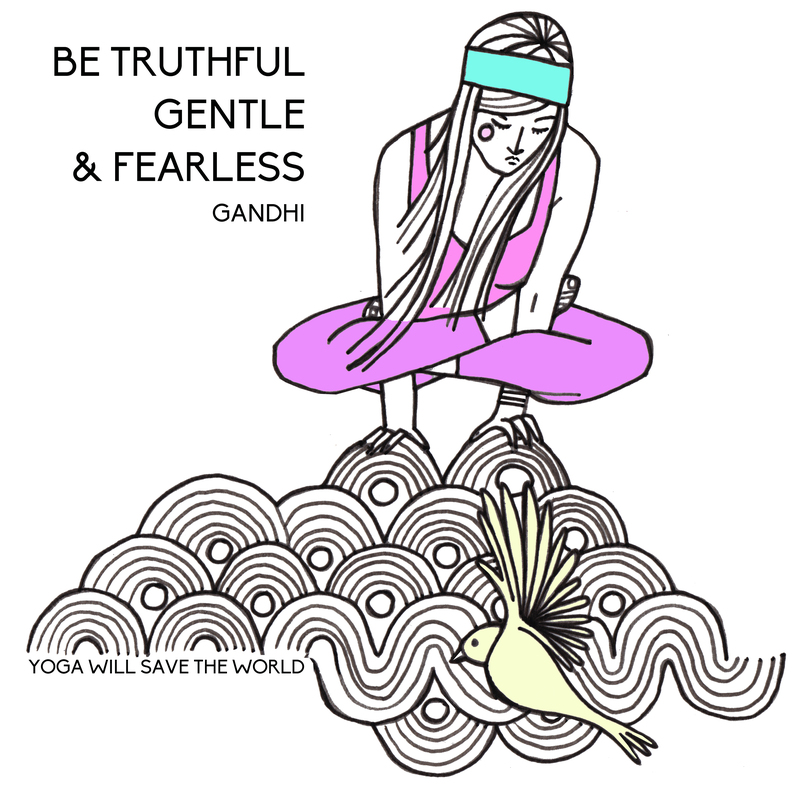 I will leave you now with a couple more lovely yoga images and quotes. 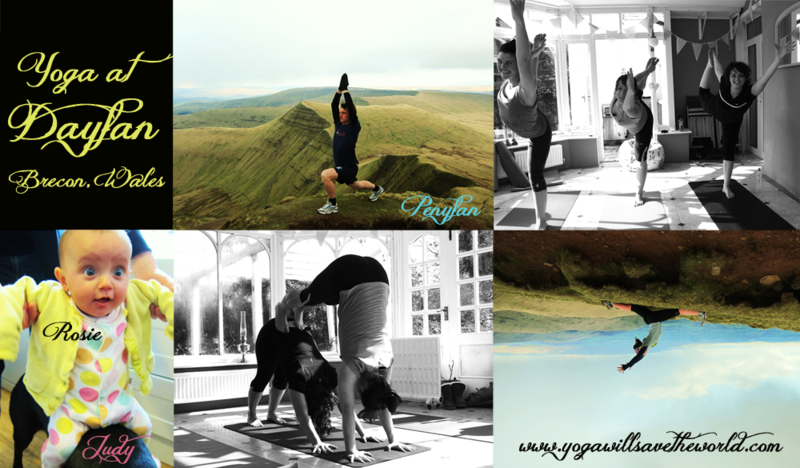 I have just come back from teaching yoga at Emma, Stevie and new addition baby Rosie’s, beautiful B&B in Brecon. 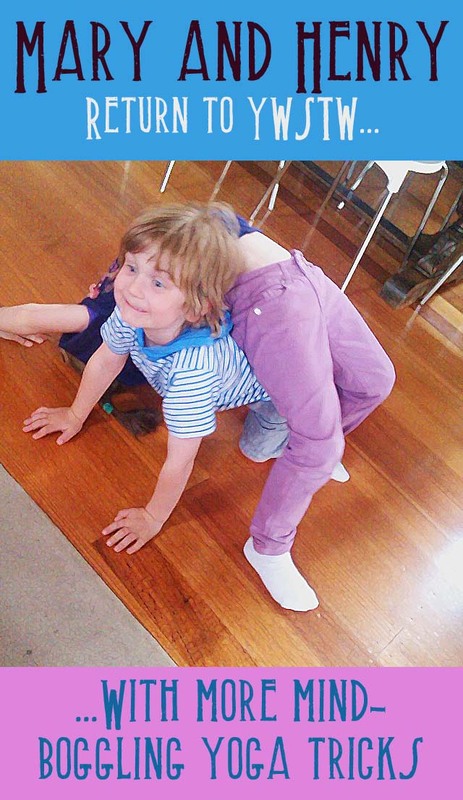 Mornings were all about yoga in the sunny conservatory and Emma’s delicious post yoga brownies. Afternoons were filled with Gemma and Katie marathon training along the canals, coach Shelly biking along side providing them with gels, waters and stories and Ross and myself attempting to run up to Penyfan where the views are astounding and snow fell. One afternoon Stevie gave us a baking class. 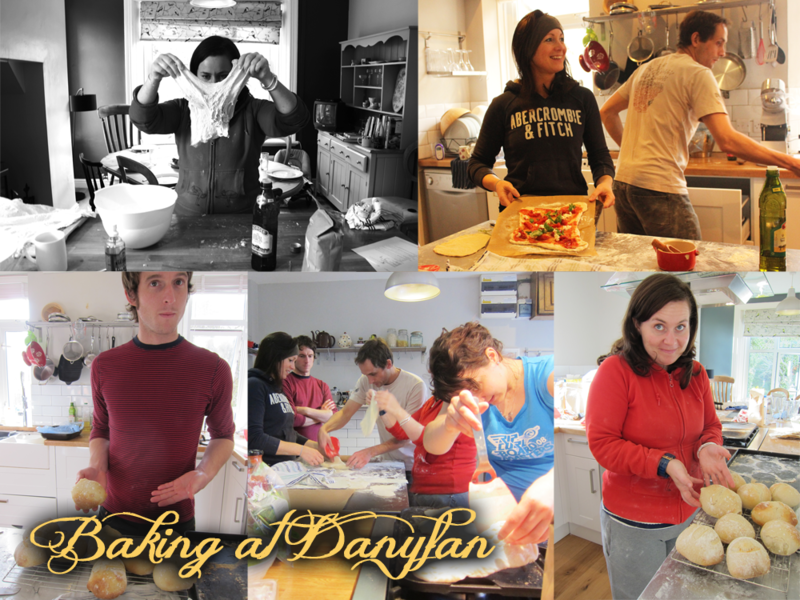 With Stevie’s patience and wizardry bakery skills we learnt how to make sourdough, pizza bases, focaccia, buns, loaves and flowerpot granary buns. We fell into bed that night in happy bread comas. Evenings were spent in front of the fire eating Stevie and Emma’s beautiful meals, enjoying a glass of wine or the local G&T and then getting competitive with rounds of bananagrams. Late summer dates will be up for grabs soon.